Interplast, a Ghana-based company specialising in the manufacture of piping systems, has just launched a new drip irrigation system called Ingreen. Launched since Accra, this system should enable West African farmers to maximise their production and save water resources. The new irrigation system developed by Interplast Ghana Limited is called Ingreen. It is a drip system from a set of standard 20 cm, 30 cm and 40 cm pipes. This piping system is connected to a water pumping system that carries water to the plant. A system that Interplast intends to offer at an affordable price to farmers in West Africa. “What concerns us are the small farmers, and how they can get this irrigation system. We will strive to ensure that our prices are as low and competitive as possible so that smallholder farmers can afford them,” said Hayssam Fakhry, Managing Director of Interplast Ghana Limited. At Ingreen’s launch, Ghana’s Agriculture Minister, Gyele Nura, announced that he would encourage the adoption of this drip irrigation system for efficient water use in plantations and for all dam-based water retention projects across the country. He wants to integrate Interplast’s new solution into the “one village, one dam” initiative promoted by the Ghanaian government. The objective is to maximise agricultural production, in all seasons. Minister Gyele Nura praised Interplast’s work, while criticising other irrigation systems he described as “wastage of water”. “With the use of drip pipes, water can be managed and used efficiently,” said the Ghanaian Minister of Agriculture in his speech. 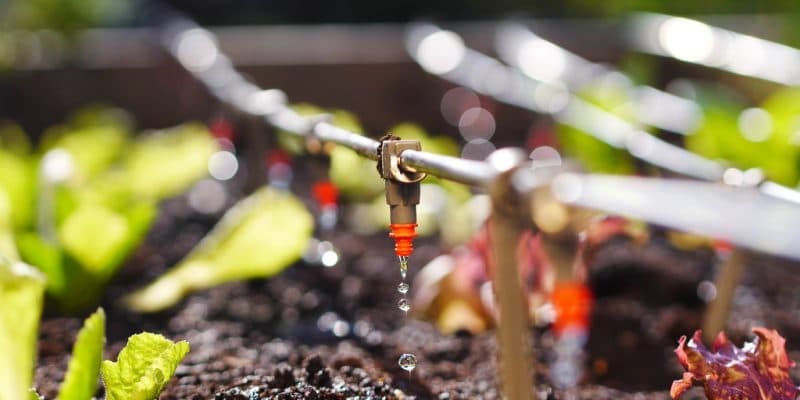 The drip irrigation system is a much localised form of irrigation with an accuracy to ensure good water management and efficient water distribution in the plantations. With such a system, a farmer can irrigate his or her field all year round and increase his production, including during the dry season. Interplast Ghana Limited, which employs over 600 people and is headquartered in Accra, plans to export its technology to the 21 countries where it already sells pipeline equipment in West and Central Africa.